D'Addario Planet Waves 1/8" Cable 3 ft.
1/8" male-to-1/8" male mini cable at a mini price. 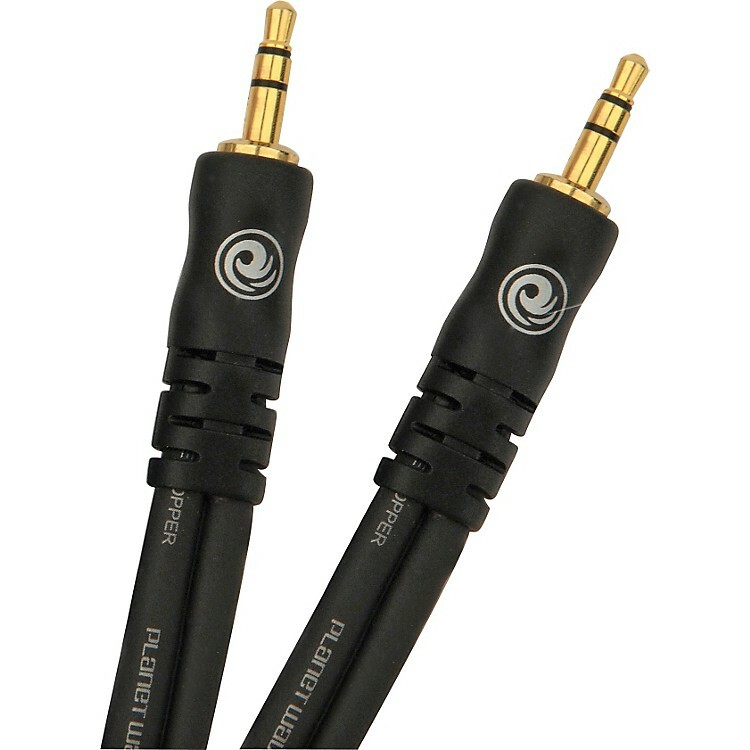 Planet Waves' PW-MC-03 is a 1/8" male-to-1/8" male mini stereo cable. Its gold-plated, patented compression spring plugs provide superior signal transfer and sound reproduction. This double-insulated, double-shielded cable provides an ultra-clean signal. The PW-MC-03 cable features exclusive Planet Waves' overmolded connectors for extra protection with excellent strain relief. Don't make waves in your budget or your sound with this 1/8" cable. Order today.